Is it just me or has coconut oil become the most popular girl at school lately? It seems like everyone has at least heard of it being used as a non-traditional fat source in cooking and baking, and now, more then ever, people are recognizing it’s amazing properties outside of the kitchen. I found this great source for 101 ways to use coconut oil and thought I would share 3 of my favorite. 1. Moisturizer with natural SPF. For awhile when I was training hard for the half-marathon, exercise-induced acne was becoming a real issue. My once clear complexion took a turn to Pizza Face town (my sisters actually called me Pizza Face as a kid) and I turned to using coconut oil as a moisturizer for my solution. I simply kept a small amount on my nightstand and would rub this in before bed to moisturize and disinfect over night. You will remember that coconut oil contains lauric acid, which is known for it’s anti-viral, -fungal and -bacterial properties, perfect for gently ridding your pores of the gunk that causes blemishes. Remember, a little goes a long way here. Also, be aware that excess oil can stain sheets and clothes (should come off in the wash), but you can blot excess off if you are worried, just give it a few minutes to soak in. Coconut oil can also be used on all skin in general. I’ve used it as the perfect post-shave lotion on my legs and to restore moisture to intensely chapped lips in the winter. 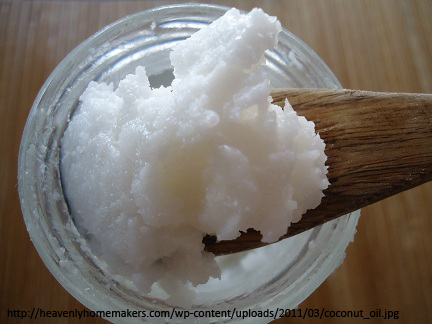 The bonus- coconut oil has a natural amount (SPF4). Coconut oil on your skin?!?! Try it and be amazed. 2. Promote overall hair health and growth. Recently, I switched over to a new shampoo that promised more body. While it did make my hair look more full, it also led to a very itchy scalp. I can’t be sure whether this was do to excess drying or a potential allergy, but the itch was driving me crazy (also made me feel self conscious to keep scratching). First, I discontinued using the shampoo and then, to soothe my scalp I made a concoction of coconut oil, tea tree and rosemary essential oils. 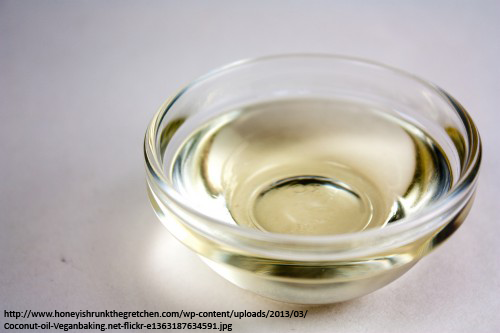 Simply melt about 1/2 cup of coconut oil and mix in 2-3 drops of each essential oils (remember, some people can be sensitive to essential oils, so do a small test first). After a shower at night, I would take a small amount and massage this into my scalp, helping to distribute and increase the blood flow. I left this on overnight and showered normally in the morning. One treatment was literally all I needed to be completely moisturized. This mixture can also be used to treat mild forms of dandruff and a very small amount rubbed into your ends can cure frizzies and serve as an ultra-leave in conditioner. Again, a little goes a long way here so be careful, especially if you have fine hair or are prone to oily tresses. The bonus- tea tree and rosemary oils are known to promote hair growth and exhilarate your scalp with a gently tingle. Be aware that in high temps, this mixture will melt. If this is an issue, try keeping it in the fridge- refreshing pits! 3. 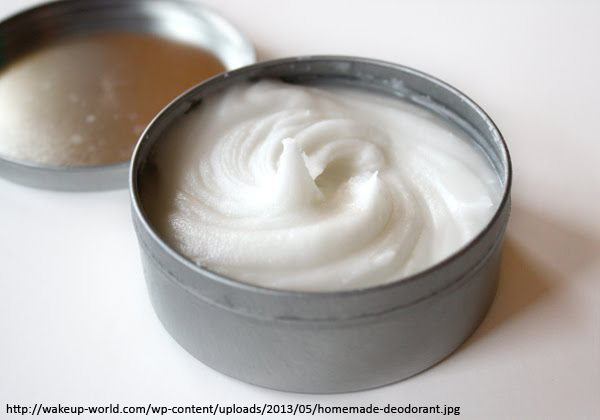 Homemade deodorant-without the harsh aluminum, parabens and perfumes. Here’s a bit of a confession- I’m a slight hypochondriac and chronic worrier of my health. I try to eat healthy and workout mainly because I want to feel the best I possibly can for my duration here on Earth. That being said, every morning, I would feel bad about rolling on that stick of deodorant when I know that the use of anti-persperants is questionable at best (lots of conflicting reports about its link to breast cancer, alzheimer’s, etc). So, I took charge of my pit health by making my own homemade deodorant. To create: combine 1/4 cup melted coconut oil, 1/4 cup baking soda, 1/4 cup cornstarch or arrowroot powder and ~10 drops of your favorite essential oil, I love lavender, but tea tree would also work here because of it’s cleansing properties. I put mine in a jar like this, but check out Cinnamon Eat’s recent innovative creation! Since our house lacks central AC, this mix can get pretty melted in summer and in winter can become so solid it’s hard to scoop. The next time I run out, I’m going to place in an old deodorant container and store in the fridge for easier application. Be aware- this may cause white marks on dark clothes, although it washes out OK. When turning to cleaner, healthier options, the key is to remember that you are making your health a priority and with that (at times) comes slight sacrifices in other areas (time, ease, efficiency, etc). The bonus- a clear conscious and it works! Happy Friday! 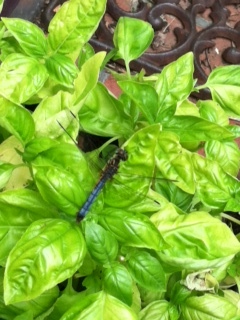 Can you see our friend within the basil?